DomAlena’s Hair & Nail Lounge desires to deliver high quality salon services at affordable prices for you and your family. 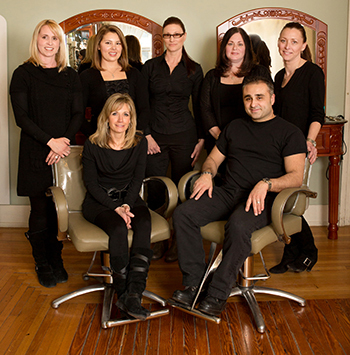 When you come through the doors of our Victorian Style salon you will be greeted by a team of smiling faces ready and willing to be responsive to your specific needs. While experiencing our salon services, you will never be far away from the world with our wireless internet access or you can just sit, relax and enjoy a light snack and beverage, while our team of designers create THE look for you.